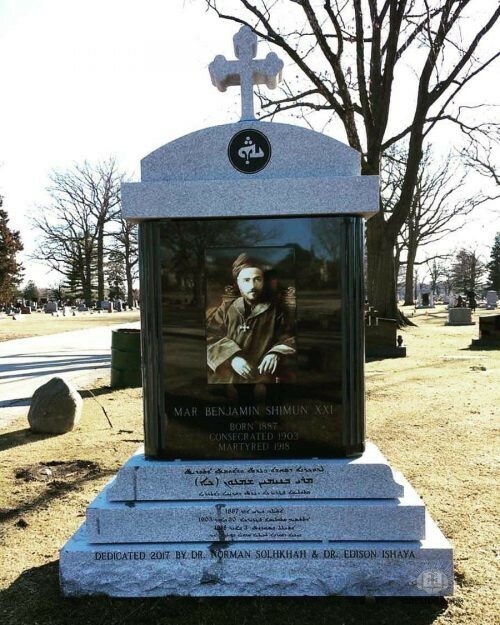 The Diocese of the Eastern United States commemorated the 100th martyrdom anniversary of Mar Benyamin Shimun XXI with the opening of a new monument dedicated in his honor as he sacrificed his own life for the sake of the Holy Church and the Assyrian nation. 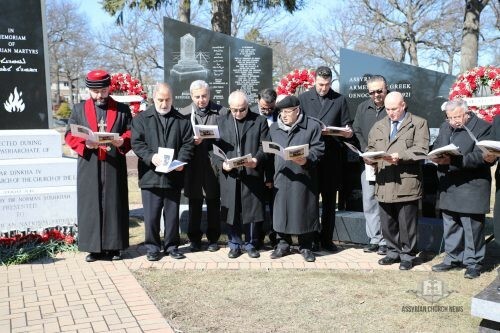 Upon arrival to Montrose Cemetery, His Grace Mar Paulus Benjamin, Diocesan Bishop of the Eastern United States of the Assyrian Church of the East began the a prayer service alongside His Grace Mar Gewargis Yonan, Bishop of Chicago of the Ancient Church of the East, and Reverend members of the clergy. 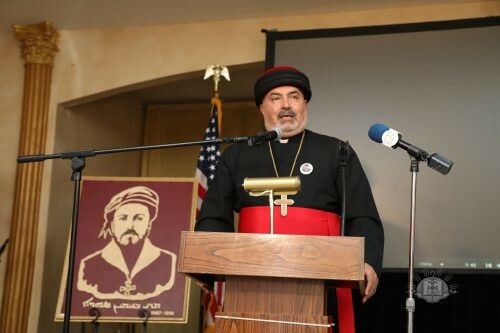 After the prayer service, His Grace Mar Paulus Benjamin extended his sincere gratitude to Dr. Norman Solhkhah and Dr. Edison Ishaya for their efforts in honoring the martyred Catholicos-Patriarch, Mar Beyamin Shimun XXI. 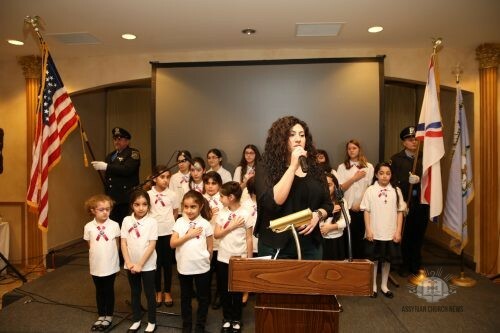 The monument was then officially unrevealed to the public by His Grace Mar Paulus Benjamin, His Grace Mar Gewargis Yonan and Dr. Norman Solhkah. 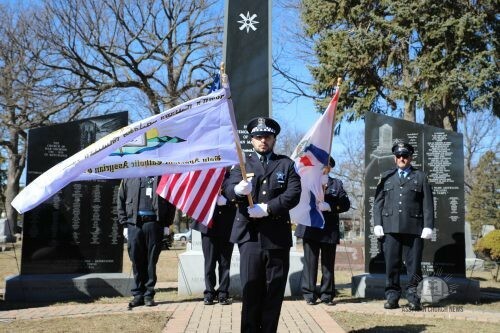 A luncheon followed the opening of the momentum at Crystal Palace Banquets in Mount Prospect, Illinois. 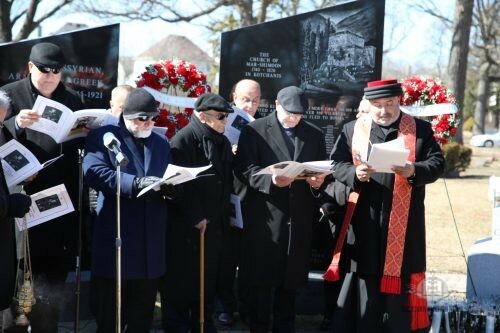 His Grace Bishop Mar Paulus Benjamin and the clergy of the Diocese of the Eastern United States made a procession into the banquet hall and received the Very Rev. Fr. 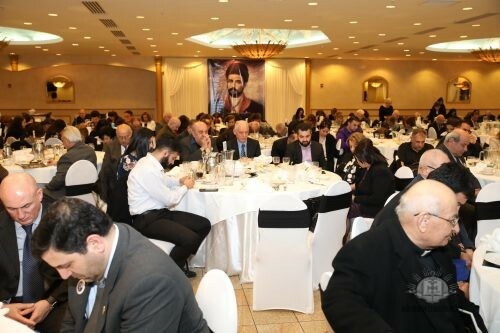 Ghevont Pentezian of Armenian All Saints Apostolic Church, members of the various Assyrian organizations in Chicago, and faithful members of the Church of the East. 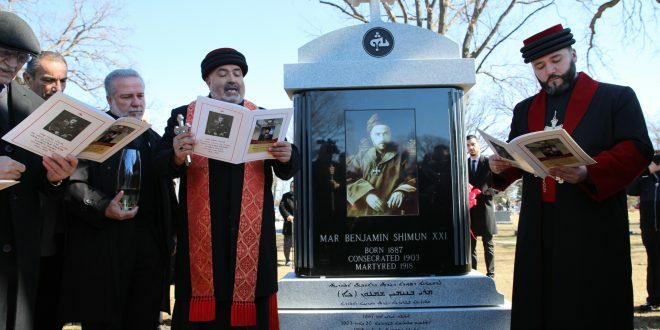 The luncheon included a variety of poems, hymns, and a great multitude of history of the life of Mar Benyamin Shimun XXI. 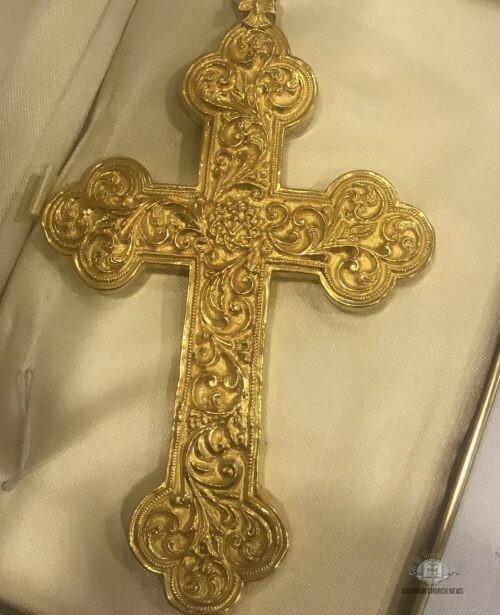 A piece of history was also displayed at the event, a pectoral cross that Mar Benyamin Shimun XXI gifted to Mar Elia D’Aboona, Bishop of Alqosh, after his episcopal consecration over 110 years ago.